Buster Keaton beside the Jewett estate gate in Cops (1922). From Buster Keaton and the Marx Brothers, to noir classics and the 1980s soap opera Dynasty, the lavish Jewett estate located at 1145 Arden Road (originally 1201) in Pasadena has portrayed cinematic wealth and grandeur for nearly a century. 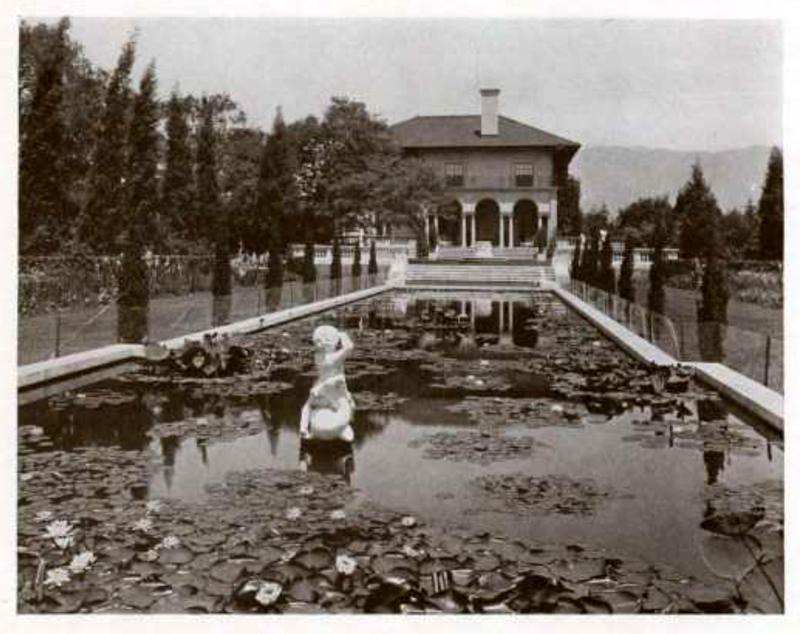 Designed by architects Sylvanus Marston & Garrett Van Pelt, and completed in 1915, the Palladian-style villa was once set amidst vast gardens adorned with Italian sculptures and fountains, and remains accessed from a gated entry along a 100-foot-long driveway. 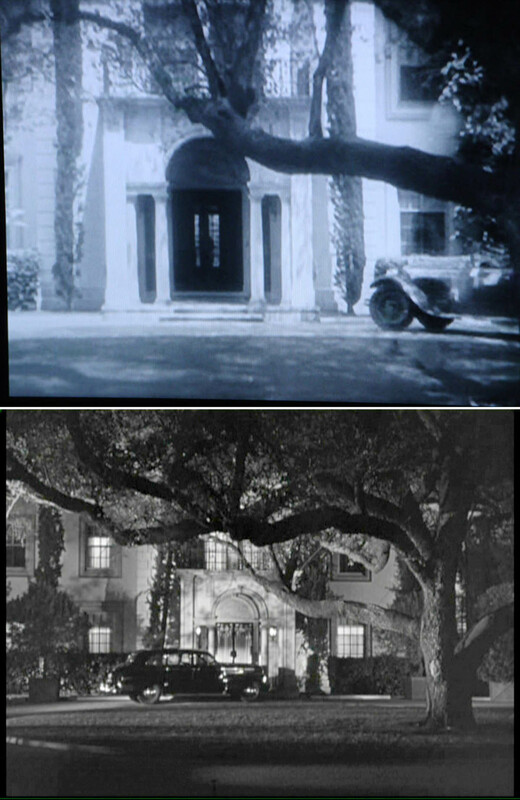 Matching views of the main entrance and driveway turnaround in the twisted film noir murder classic Born to Kill (1947), starring Claire Trevor and Lawrence Tierney (top), and in the William Haines – Joan Crawford 1927 comedy-romance Spring Fever. Notice the tree stands towards the south edge of the turnaround. 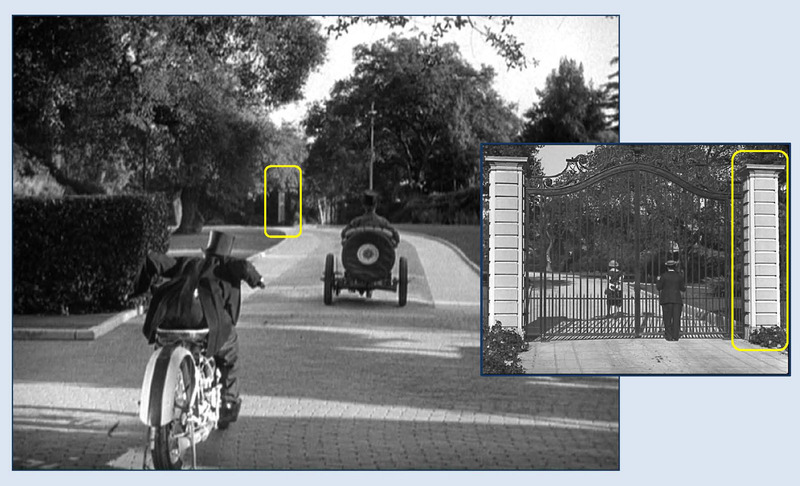 The estate’s imposing formal gate, appearing during the opening scenes of Buster Keaton’s most famous short film Cops (see above and below), was one of the first location discoveries I ever made. The thrill of visiting that spot in person, and appreciating, beyond the narrow view captured on film, the full 360 degree environment Keaton and his crew experienced when shooting the scene, inspired me to delve more deeply into Buster’s work, and ultimately lead to my first book. The gate on Arden Road appearing in Spring Fever (left) compared with Buster in Cops. Shown below, visual clues from Spring Fever help identify scenes from the Marx Brothers in Duck Soup. 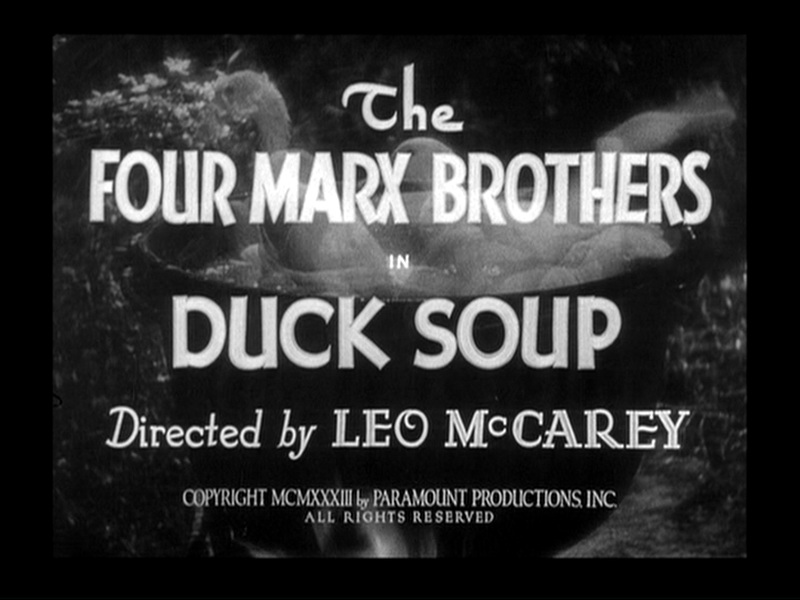 I first read the Marx Brothers’ political satire Duck Soup (1933) was filmed at the estate in Leon Smith’s film location book Hollywood Goes On Location (1993). 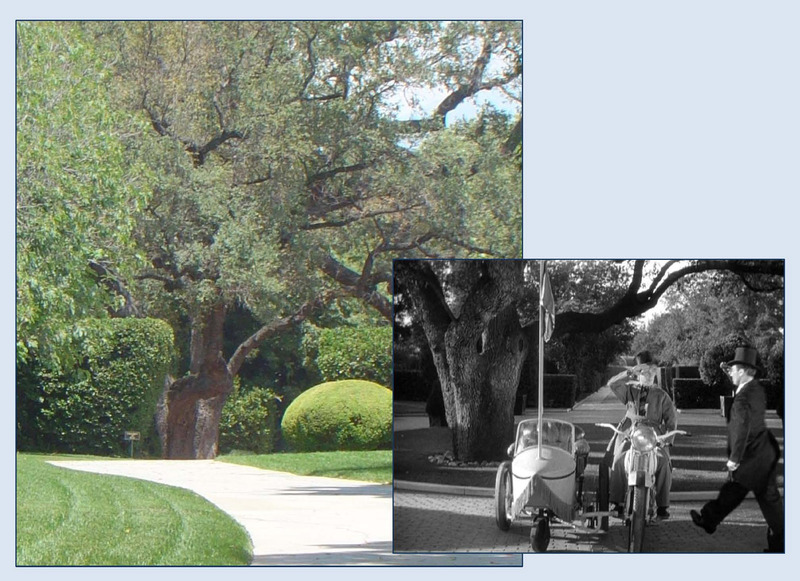 The estate lost many formal gardens north of the house when the property was subdivided (including its original 1201 address), but two popular filming spots appearing with Groucho, the long formal lily pond south of the home (see view, left, looking north towards the home), and the driveway turnaround beside the home entrance, anchored by a massive oak tree, shown above, remain prominent features of the estate. From Duck Soup, Groucho and Margaret Dumont, looking south along the formal Lily Pool. 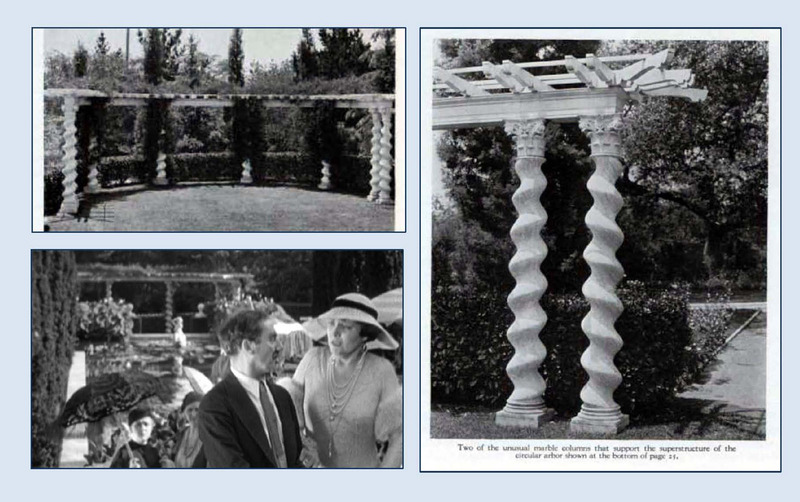 These detailed views reveal the elaborate circular arbor that stood behind Groucho at the south end of the Lily Pool. The arbor seems to have been lost to subdivision. A modern swimming pool has been installed immediately south of the home where this carved circular lawn ornament once stood. The view left looks north towards the home, the views to the right, Duck Soup above, and Spring Fever below, look south down the extant Lily Pool. From Duck Soup, left, the assembled guests stand at attention awaiting the entrance of Freedonia President Rufus T. Firefly (Groucho), filmed looking north along the formal row of trees that once stood north of the home. 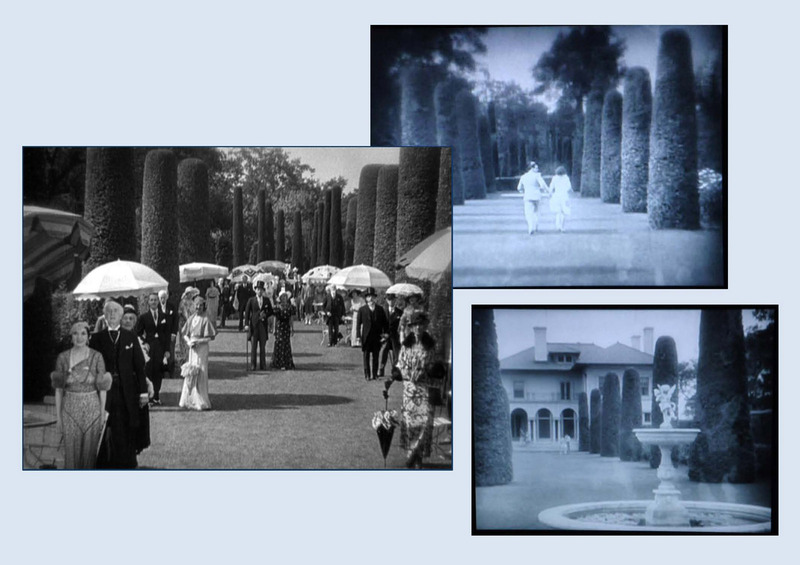 The images from Spring Fever, at right, show a similar view (top), and an opposing view looking south from the north garden towards the north end of the home. Note the Cupid fountain in the lower right. 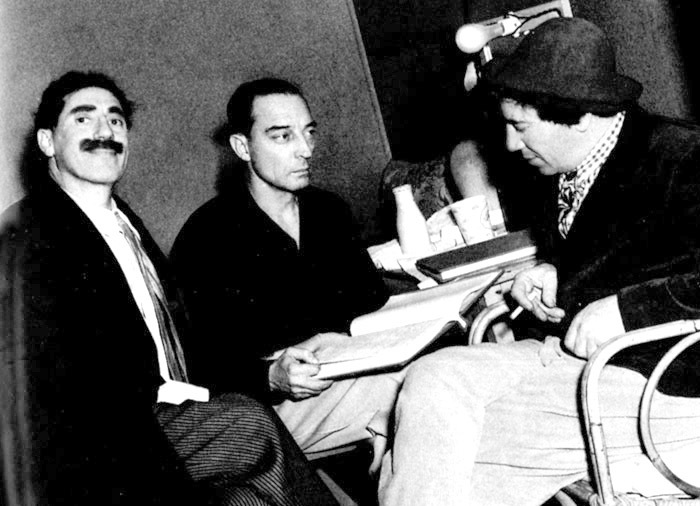 Groucho surprises the awaiting guests by making his entrance from the side. 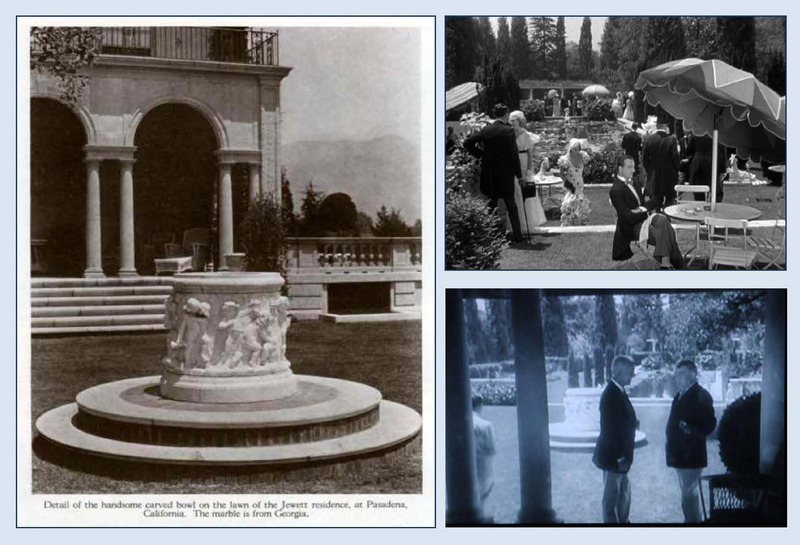 The fountain behind him appears in the Spring Fever frame (left). Through the trees to the right behind Groucho is the two-story guest house still standing at what was the north end of the estate. The estate’s north gardens were lost when the property was subdivided. During one running gag in Duck Soup Groucho is left behind each time Harpo picks him up with a motorcycle sidecar. 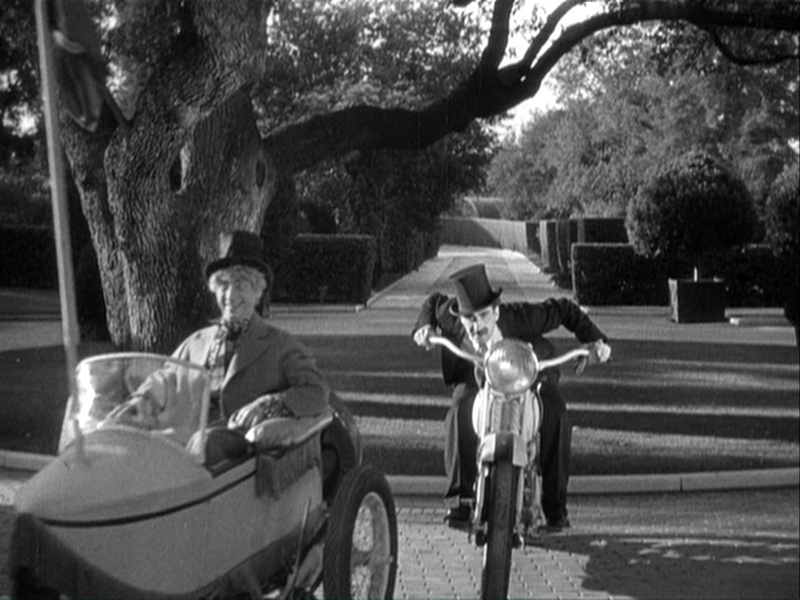 For this version of the joke Groucho attempts to outsmart Harpo by sitting on the motorbike instead, but even then Harpo prevails, as this time the sidecar drives away, once again leaving Groucho stranded. We know from movies such as Born to Kill and Spring Fever (and confirmed by modern aerial views) that the massive oak tree standing in the driveway turnaround is situated off center, near the south end of the turnaround. 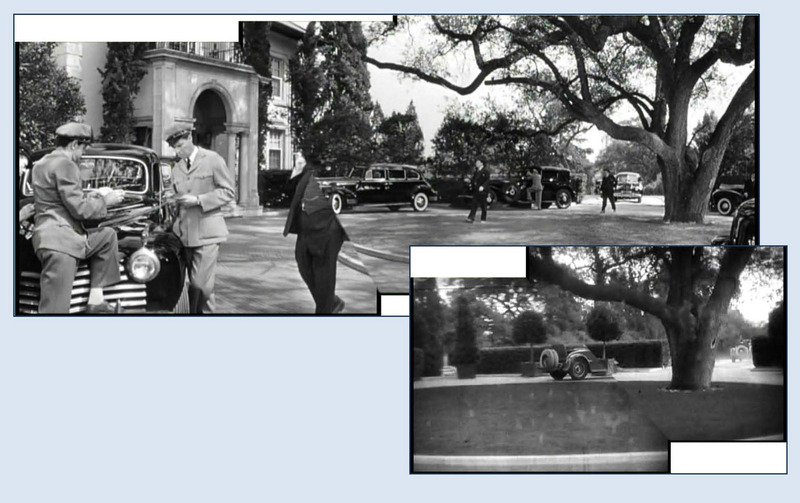 Thus, this view of Harpo fleeing Groucho (left) was filmed at the turnaround looking north. This landmark tree still guards the home, and is visible from the front gate (see below). Matching views looking north towards the driveway turnaround oak tree still standing today. As Groucho watches Harpo drive away, looking south along the driveway from the turnaround behind Groucho, a gate tower (box) appears in the distance, matching the gate tower from Cops (inset). According to the Los Angeles Times, the original owner William Kennon Jewett was heir to a railroad fortune in Ohio and struck it rich as head of a gold mine in Colorado. In 2005 the Times reported the 13,498-square-foot house, with nine bedrooms, seven bathrooms, nine fireplaces, and an elevator, was listed for sale at $14.5 million. 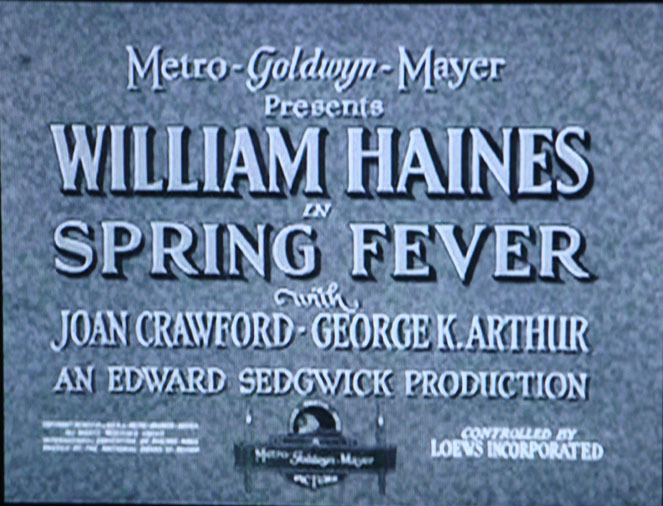 The estate appears in many early films, including Ann Harding’s Paris Bound (1929) and the sole Amos ‘n Andy feature film Check and Double Check (1930). As reported in the LA Times, the Mae West feature Goin’ To Town (1935), the long-running prime time soap opera Dynasty, and recent televisions shows such as CSI: Miami, and major films such as Gods and Monsters (1998) and Terms of Endearment (1983), were also filmed at the estate. 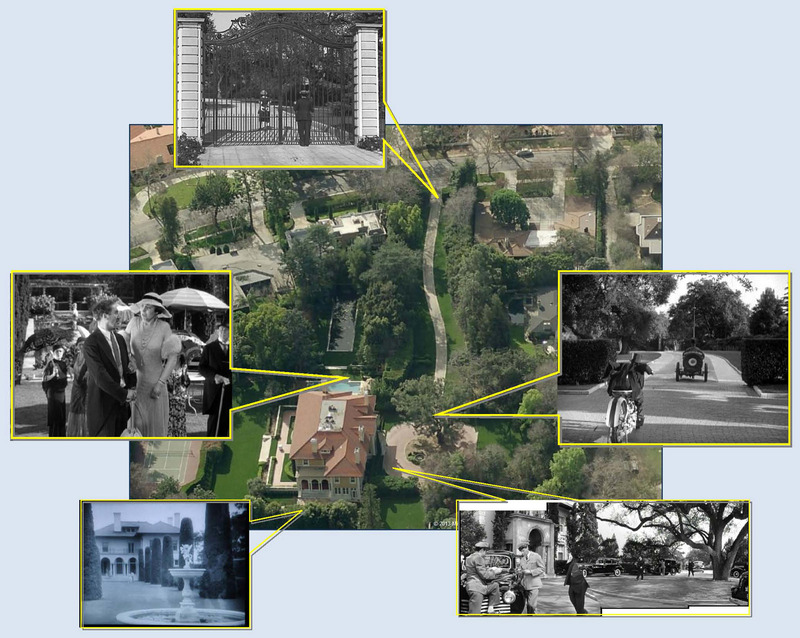 Click to enlarge – looking south at the Jewett estate today, with Cops at top, Duck Soup middle left and right, Spring Fever lower left, and Born to Kill lower right. All views are oriented properly to the aerial photo, except for the Cops gate which was filmed from the street looking towards the home. The north garden in the Spring Fever frame has been lost to subdivision at the bottom edge. (C) 2015 Microsoft Corporation Pictometry Bird’s Eye (C) 2015 Pictometry International Corp. 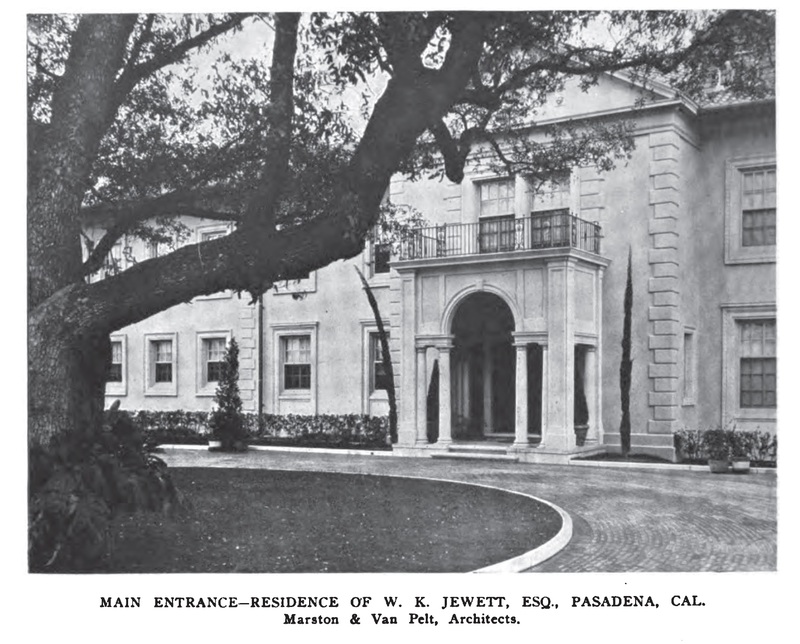 The Jewett estate was one of thousands of stately homes, churches, and country clubs, ranging from Burlingame to San Diego, listed in the 1920s-1950s with the Assistance League Film Location Bureau, a charitable organization founded by Mrs. Hancock Banning that rented lavish locations for use by movie studios. The participating owners allowed filming on their property in exchange for rental fees paid by the studios, that were in turn donated to the Assistance League’s charitable causes. The win-win arrangement allowed the wealthy to support charity without spending a dime, while saving the studios the tremendous cost of building sets in lieu of filming at true locations. Mrs. Lee Fay Turner ran the bureau from at least 1929 to 1951. 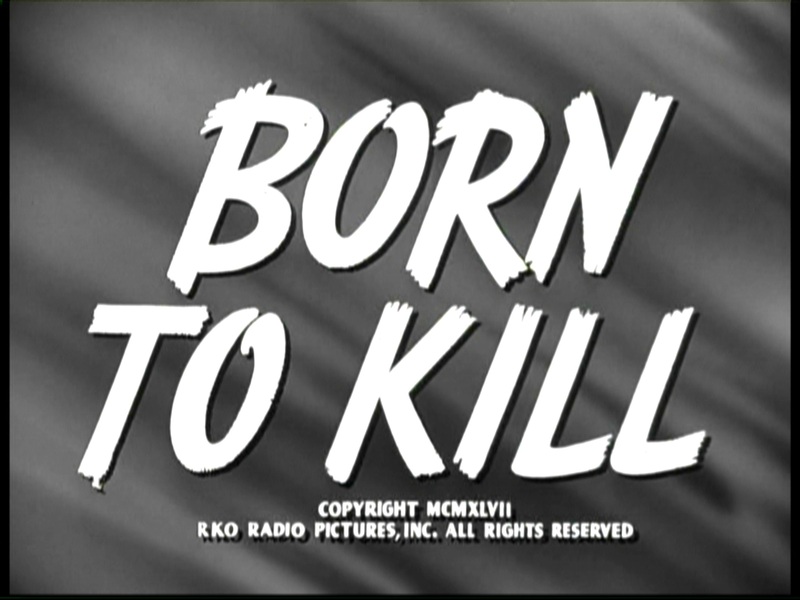 While further details about this group’s history await discovery, apparently the bureau assisted, for example, with renting locations used for the 1937 production of A Star is Born. While Buster would later work with the Marx Brothers as a gag writer at M-G-M, I wonder if they ever realized they had both once filmed at the Jewett Estate. Vintage photos Architectural Record Vol. 52, page 34, 1922, and Through the Ages Magazine, Vol. 4, No. 3 July 1926, pp. 22-29. This entry was posted in Buster Keaton, Duck Soup, Film Noir, Jewett Estate and tagged Arden Road, Born to Kill, Buster Keaton, Cops, Duck Soup, Dynasty, film noir, Groucho Marx, Harpo Marx, Jewett Estate, Marx Brothers, Silent Comedians, Silent Comedies, Silent Movie Locations, Silent Movies, Spring Fever, then and now. Bookmark the permalink. So interesting. I spent hours reading your posts. Good post! I want to add a few information – place filming still have not changed? This movie https://viooz4k.net/153-wont-you-be-my-neighbor-2018.html was not shot there accidentally? What a great story – and of keen interest to me since I owned this house for about six or seven years around the turn of the century. I knew I was buying “the Dynasty house,” but when I found out, some months after the purchase, that the Marx Brothers had shot at the property for the exteriors for Duck Soup, I was over the moon! (My office was in the parlor for a couple years. I could sit at my desk and look out at the driveway under the oak where Harpo waited on his motorcycle.) For many years the home was owned by a family named Morton; they had several children with many friends apparently – because for years when I said I lived at 1145 Arden, people would say, “I used to play there when I was little!” Having been used for Dynasty seemed to be the biggest draw to the property. Many times I’d answer the buzzer at the gate and hear people saying in excited, broken English, “Dynasty house?” I figured they’d come all the way to Pasadena – I might as well let them in. The house was used for motion picture filming many times over the years – to the consternation of the neighbors, some of whom pointedly asked us when we moved in, “You’re not going to allow filming, are you?” We didn’t – until one summer when we were away on the east coast. During that time several commercials were filmed in the house, as well as interiors for Wedding Crashers and In Her Shoes. I remember hearing that parts of the Eddie Murphy film The Distinguished Gentleman were also filmed on the property. If you look at the Duck Soup photos in the article, at the near end of the reflecting pool there are two sea monster sculptures on either side; they’re still there (as far as I know). Some years ago the very large property was subdivided and sold off; many of the homes on Arden going all the way up to California were built on that land – which is why, if you look carefully, you’ll see rather modest homes with enormous, grand porticos and outdoor structures gracing their lawns. I wish I could remember more to share about the house. It was grand living – and certainly fun for a few years. Very entertaining article. I was married to Peter Tolan when we bought this house in November of 1997. The whole house was gutted except for the foyer, parlor, dining room and living room. The second story was completely gutted. The gardens didn’t exist anymore. We started a grand renovation as soon as we got the keys. This house was chosen to be the Pasadena Showcase Home for 1998 slated for April. The accelerated renovation was an amazing task but the house was finally celebrating it’s glorious past for the first time in many years. I feel privileged to have lived there with my family. We sold the house in 2005, but the house will always hold a warm place in my heart.